We are heading to a birthday party at the metroparks tomorrow for two of the kids’ friends. I made gifts again, trying to see if we can keep up the effort to give handmade stuff. 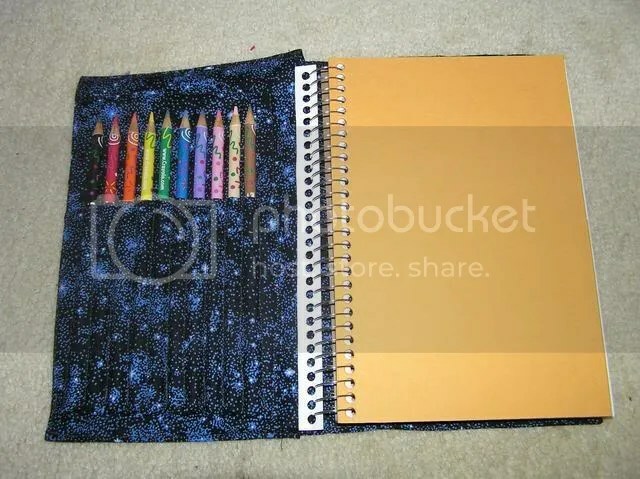 For the 8 yo boy, I made a fabric covered drawing book with built in pencil holders. I know he likes to draw and he digs video games, so I went with Mario for the front. 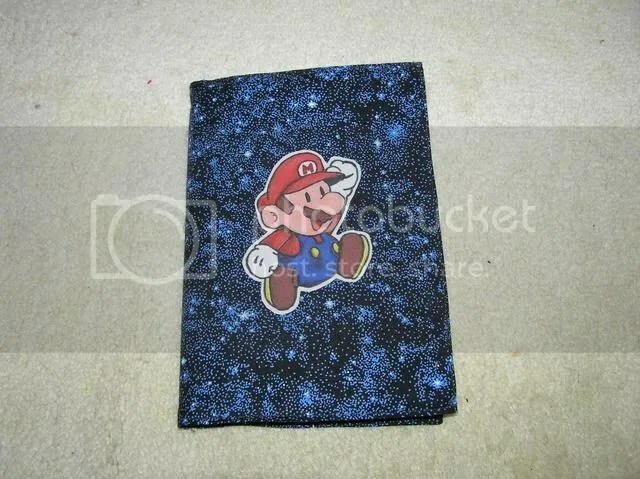 I used fabric markers to draw the Mario on white fabric and used Steam-a-Seam to iron it on. He usually uses pencil for his drawings. I found colored pencils that have erasers on them, so I included them. 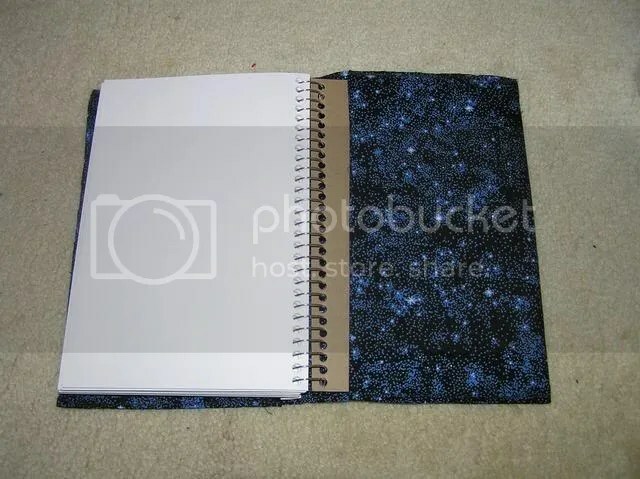 As usual, my son covets the stuff I design for others, so I will probably be making one for him. He has moved into a phase of being concerned with his drawing “mistakes”, so he thinks that being able to erase will help. For the 4 yo boy, I had a bit more trouble coming up with something homemade that I thought he might like. 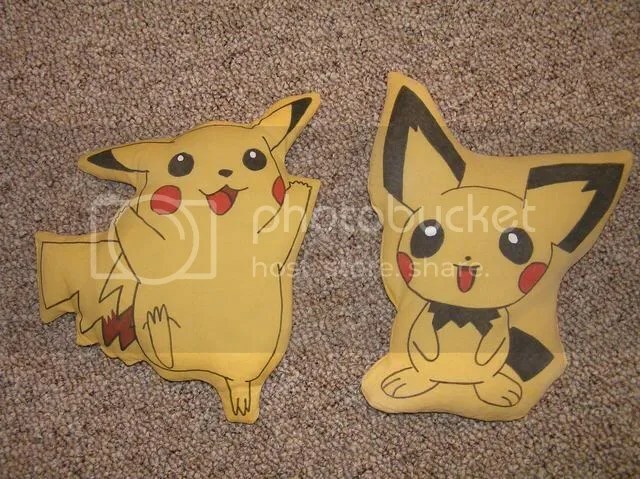 I finally decided to make him a microwave heating pad/beanbag shaped like Jigglypuff since he likes Pokemon. We have been using rice heating pads for years here to cuddle up with when we go to bed. They really help get things cozy, especially in our faux-temperpedic beds. 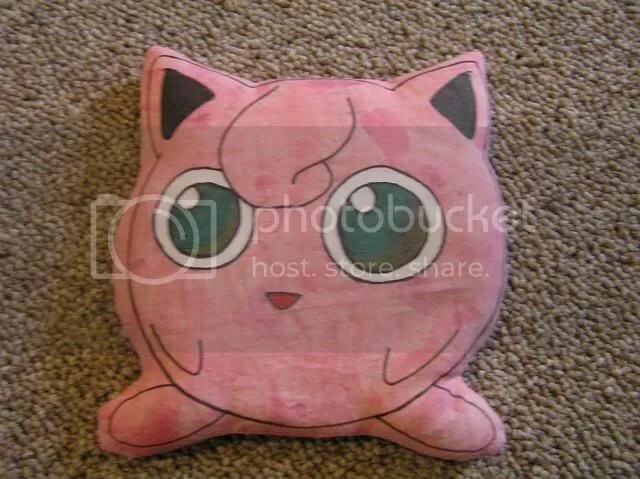 I just used pink cotton fabric and fabric paint/markers to draw Jigglypuff, then sewed around him and stuffed him with rice. The kids like them and played Pokemon today with them. My son walked around with Pichu on his shoulder while they played. Now they are sitting on them watching a movie.